IMPROVING PATIENT OUTCOMES AND SERVING OUR HEALTHCARE CUSTOMERS. MedSource is a best-in-class provider of quality healthcare supplies, including OEM products. We are proud to supply EMS providers, hospitals and surgical centers, veterinarian and dental providers, and government agencies. We improve patient outcomes by delivering top-quality products at cost-effective prices. EMERGE is our unique process for helping companies innovate. We transform your ideas for medical devices into market-ready products – rapidly and efficiently. Partner with us to revolutionize the way you think about serving your customers and the needs of their patients worldwide. Biomedix-WAI is our U.S.-based manufacturer of innovative health care products and solutions. We have a 25-year history of proudly delivering U.S.-made, TAA-compliant products to our customers, including the US military, municipalities and other health care providers. All of our specialty IV therapy and other products are made in our Bloomington, Indiana, manufacturing center. 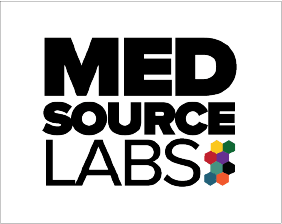 Since we opened our doors in 2002, MedSource Labs has been passionate about improving patient outcomes by delivering excellent medical products at great value. We pride ourselves on our ISO-certified Quality Management System, which reflects our strong commitment to quality medical devices and solutions that improve patient care and meet regulatory and customer requirements. We work every day to achieve the highest customer satisfaction by continually improving our processes, products, and services to ensure they consistently meet or exceed customer requirements. We are also a great place to work – our employees come to work each day with a sense of purpose.